Woodside has agreed to acquire half of BHP Billiton’s area assets in the Carnarvon Basin, located offshore Western Australia. The Australian petroleum exploration and production company said the acquisition includes a 25% interest in WA-1-R (BHP Billiton 50% share, ExxonMobil 50% share) and 50% interest in WA-62- R (BHP Billiton 100% share), which together contain the Scarborough gas filed. Additionally, the company will acquire half of BHP’s interest in WA-61-R (BHP Billiton 100% share) and WA-63-R (BHP Billiton 100% share) which contain the Jupiter and Thebe gas field. 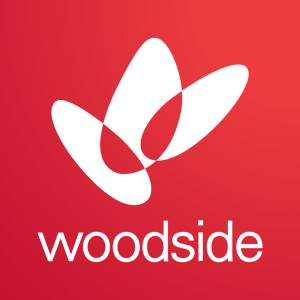 Under the agreement, Woodside will pay BHP an initial US$250 million and a further US$150 million payable upon a positive investment decision to develop the Scarborough gas field. Woodside CEO Peter Coleman said the addition of Carnarvon Basin Volumes to the Australian portfolio would complement the company’s growth strategy and leverage its deep water and LNG capabilities. “We look forward to working with ExxonMobil and BHP Billiton following of the transaction to progress commercialization of these world-class resources,” Mr Coleman added. BHP Billiton President Operations, Petroleum, Steve Pastor said the company considers the proposed sale to Woodside to be “a positive outcome for all parties”. “Woodside is a strong partner with substantial LNG experience in Western Australia, and we believe they will contribute positively to the future development of the Scarborough resources,” Mr Pastor stated. The Scarborough area assets include the Scarborough, thebe and Jupiter fields, which are estimated to contain gross 8.7 trillion cubic feet of as resource at the 2C confidence level. According to Woodside, its net share of the resources is estimated to e 2.6 trillion cubic feet of gas. Under the proposed transaction – subject to a number of conditions precedent including joint partner pre-emption rights and regulatory approvals – ExxonMobil will remain operator of Scarborough, with operatorship of North Scarborough to be transferred from BHP Billiton to Woodside. Completion is expected by the end of the 2016 calendar year.